We developed iScope™ to address a need for insurance claim software that would be both affordable and effective. 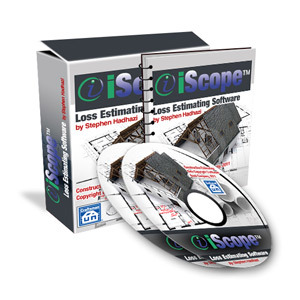 This loss estimating software is free to use even after the 30-day trial expires. However, you may want to use the optional pricing database from the . This integrated database is free to use for the first 30 days and then reasonably priced by the Craftsman Book Company® for $40. If you prefer not to use the optional database, you may continue using iScope with your own pricing information. The iScope insurance claim software is one of the easiest programs to learn and use. Developed by an insurance adjuster, Stephen Hadhazi, who wanted a better solution than what was currently offered, iScope addresses the needs of claims adjusters. You can quickly create individual rooms, use standard or custom dimensions, use “groups” and sub-groups for common items, and much more. iScope contains time-saving macros, ensuring both speed and consistency. Another time-saving feature of this insurance claim software is its filtering tool. When you have over 11,000 construction items available, the ability to apply filters makes finding specific items dramatically easier and much faster. In addition, iScope™ lets you enter your own custom items and corresponding prices quickly and efficiently. You can customize individual line items as well as create your own macros and sub-macros. While iScope is highly intuitive, we've included a set of high definition video tutorials that walk you step-by-step through the software and show you how to use it to its full potential. 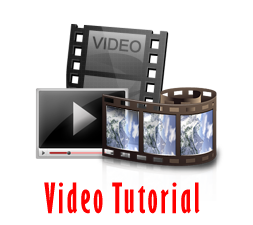 To access these videos, go to the Help menu from within the iScope insurance claim software and select the tutorial you'd like to watch. iScope is available free of charge, and it contains a full 30-day license to try out the Craftsman Book Company® pricing database. Even if you opt not to extend your pricing database license, you may continue to use iScope once the trial expires. Download your copy today!